Kenya Open Championships will be used to select the national team for the 2012 London Olympic Games. The event starts on Thursday through to Saturday in Nanyuki. 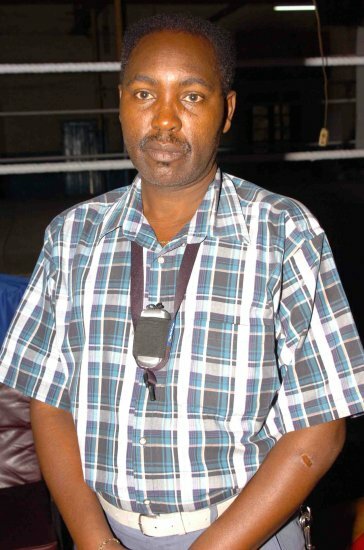 Amateur Boxing Association of Kenya Secretary General Isaac Mbote appealed to all clubs and coaches to bring their best players to this tournament since it will be the yardstick to two international assignments in their calendar of events in the next two years. “No boxer will get admission into the National Olympics team without his full participation in the Kenya Open Championships,” Mbote warned. The competition will also be used to select those who will represent the country in next year’s All Africa Games in Mozambique. ABA will use two Olympic qualifiers next year to select the final team to the 2012 London Olympics. The first qualifier will be in Bussan, South Korea in April and the next in Morocco in October. Kenya will send two teams to both qualifiers and then select a team of qualified boxers for the 2012 London Olympics. Mbote warned that no player would land in the National Olympic team without taking part in this event. “The players will be selected on merit and those who will be in the first team in South Korea will not travel to Morocco. We only need players who measure to the Olympic standards,” he pointed out. Meanwhile, Kenya Police are the National Boxing League champions for the fourth year running. They retained the title in Mombasa last week at the end of the National Boxing League series. Police collected a total of 115 points to emerge the champions. Armed Forces Boxing Club(AFABA) finished runners up with 109 points while Kenya Prisons were third with 99 points.